Oakland city council-members: which side are you on? Oakland students, parents, teachers, and community members are eager to learn where you stand in the fight to save public education in Oakland. 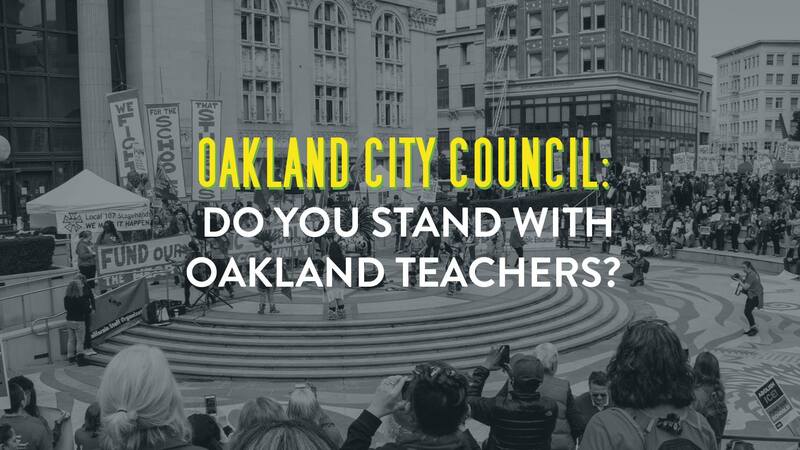 On Tuesday, February 5, The Oakland City Council will be considering a resolution to support the OEA’s contract demands, stand against school closures and fully fund our public schools. Please join Oakland teachers, families and community members to support this critical resolution as we gear up for a potential strike. We will gather for a rally at 5pm and head into the council meeting at 5:30pm.